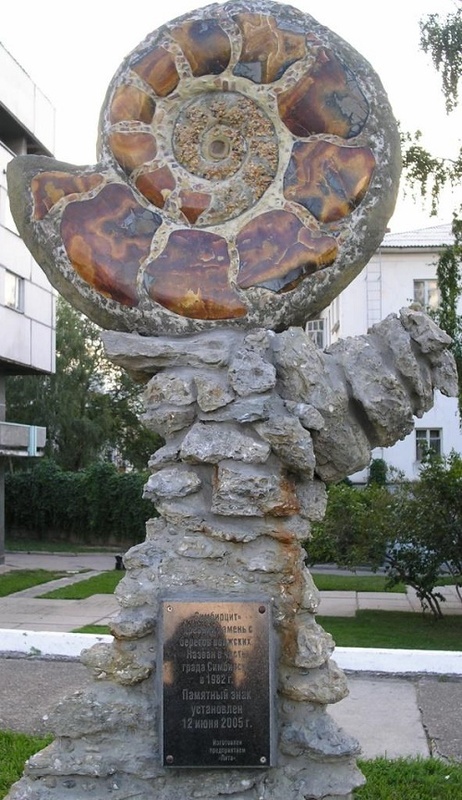 The unique monument to the unique jewelry stone Simbirtsit was established in 2005. Simbirtsit – a kind of marble onyx. The name was given in honor of the city of Simbirsk (now Ulyanovsk). The first mention of Simbirsk calcite refers to 1765. Currently, the Ulyanovsk region is the only place in the world where there is this stone field. Its color is unique – it combines a range of colors from yellow to dark brown, and complete the picture blotches of pearl and shiny streaks. Products from simbirtsit, also known as the Volga amber, are symbols of prosperity, family well-being and happiness. In addition, the stone has the ability to restore peace of mind and balance. The unique sculptural composition “Time Machine” is in fact, a monument to the engine F-95SH for the Su-25. 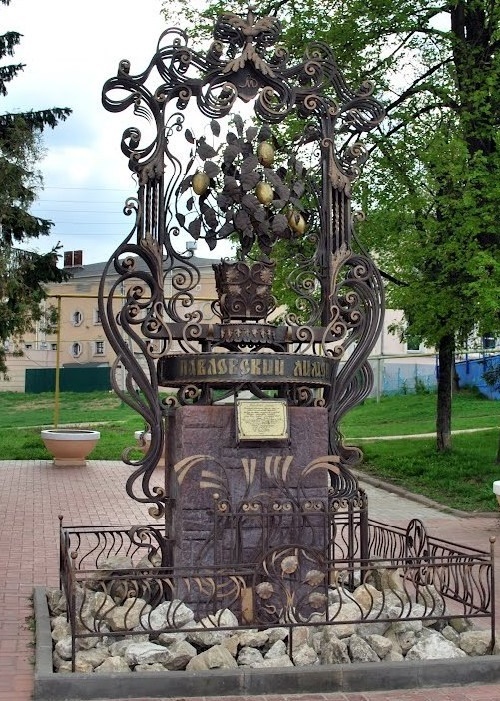 The monument decorates the Garden of Engine Builders in Ufa. 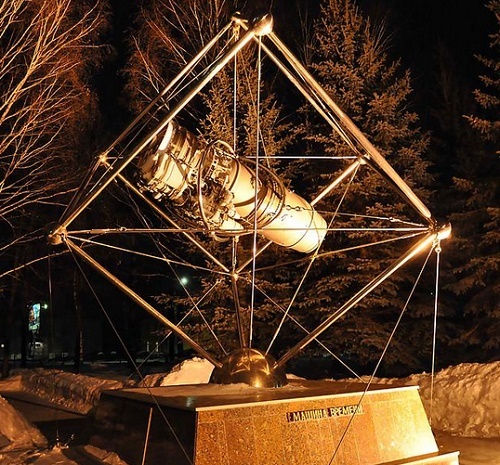 The monument was created in honor of the 100th anniversary of the legendary director of the Ufa engine plant Mikhail Ferin (1907-1979). For the Ufa engine-builders Mikhail is a legendary man. The basis of the sculpture is a real engine P-95SH, placed on a pedestal in a metal frame, which is a huge cube. Besides, the glass doesn’t cover the engine, so the people visiting the monument can clearly see it from all sides. On the pedestal placed plates, explaining technical characteristics of the engine, and in two languages ​​- Russian and Bashkir. 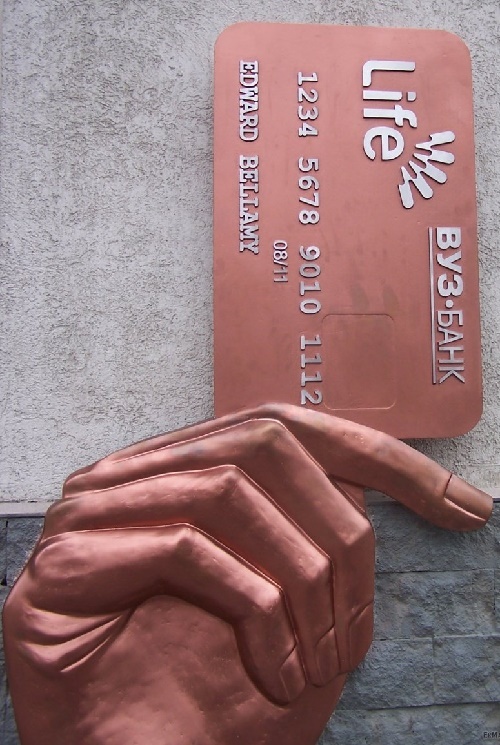 Edward Bellamy Bank Plastic Card monument was installed at the corner of Malyshev street and Bank lane, on 5 August 2011 in Yekaterinburg, Russia. The monument depicts bronze brass relief in the form of a hand holding a card. In addition, on the card is engraved the name of its owner. More than that, it is a real person. American writer Edward Bellamy (March 26, 1850 – May 22, 1898), the author of his utopian novel “Looking Backward: 2000–1887” (published 1888). Thus, the monument immortalized the name of the person who was able to predict the emergence of “credit” cards. In fact, in his novel they functioned like modern debit cards. The initiator of the monument – university-Bank, which in 2011 celebrated its 20th anniversary. 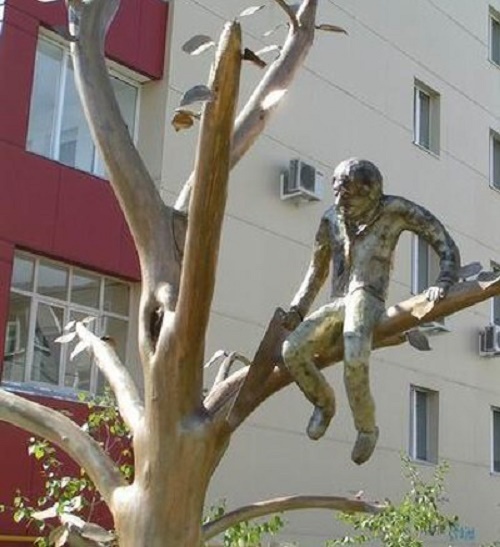 And it was Yekaterinburg sculptor Sergey Belyaev who embodied the idea. The dimensions of the monument – about two meters high and a meter wide. 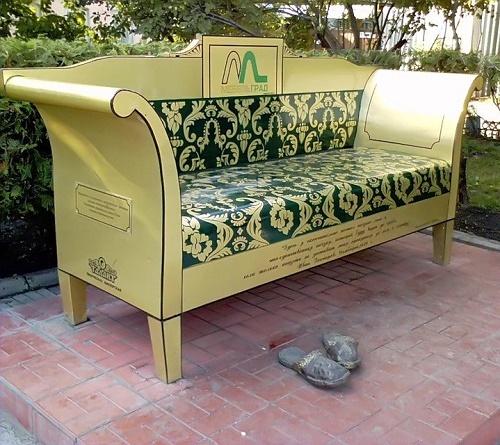 According to the sculptor, the work on the sculpture took about one and a half weeks. First, it was a sketch of a hand holding a plastic card. Then, he made it from clay, and then cast monument in bronze. The monument itself is very unusual, and unique – black birch, mournfully bowed its branches. It seems that the young tree suddenly froze, so realistic it is. 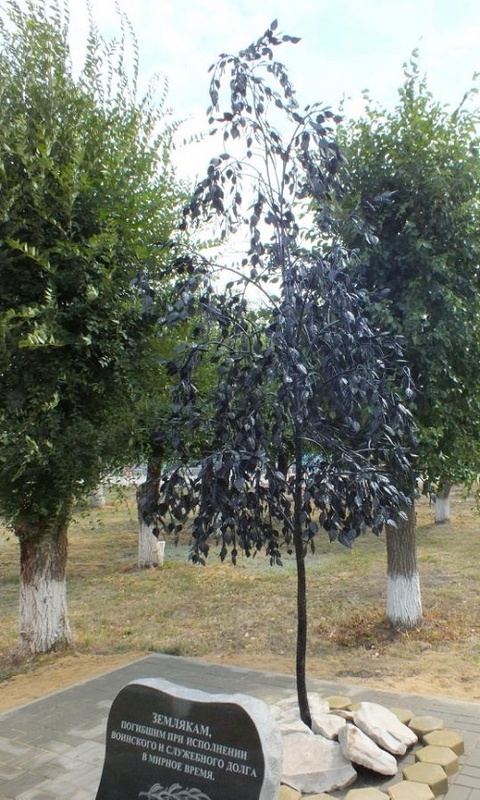 The black birch stands out against the green trees … According to those who saw this realistic metal copy of birch tree, even its leaves and twigs tremble in the wind. In fact, it is a monument to countrymen killed in the military and service duties in peacetime. The birch forged from metal. This colossal work performed a talented local blacksmith Igor Savelyev. Each leaf, twig or earrings are striking in their naturalness. The monument is very soulful … And it is clear that not only made with great skill, but also with a large broad mind. Frozen birch has become another landmark of the town of Olkhovka of Volgograd region. The hyper realistic monument was erected on September 6, 2013. Photographer Vera Shevchenko.